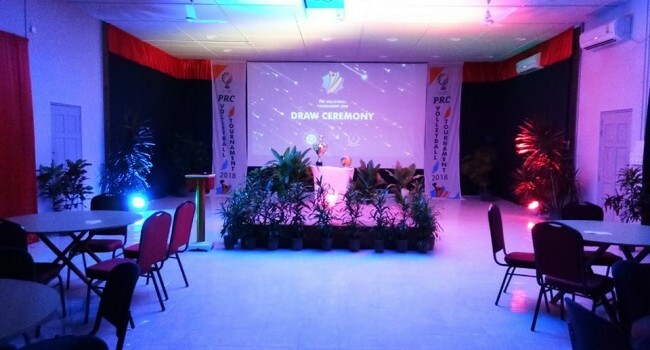 Prison Club (PRC) has held a ceremony last night at Maafushi Prison Lecture Hall to draw lots for teams participating in the “Prisco PRC Volleyball Tournament 2018″. 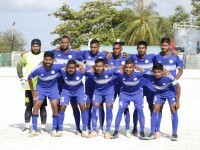 The Tournament is set to commence next month and will be held at Maafushi Prison Volley court over a period of 13 days. 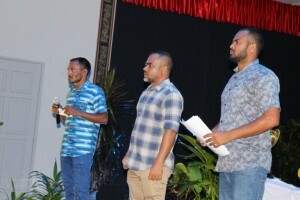 The Chief Guest of the ceremony was Deputy Director of Maafushi Prison Chief Prison Officer Ahmed Riza, while officials of participating teams and Maafushi Prison SMT also joined the ceremony. The Tournament logo was unveiled at the ceremony by CPO Ahmed Riza, who also handed over the Tournament guidelines to the team officials. 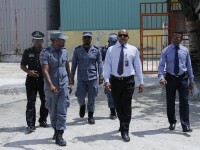 A total of four teams are participating in the Tournament, i.e, Team ESG, Maafushi Prison, Male’ Prison and Team HQ. The Tournament will continue in league format, with all teams playing one round. The champion and runner-up teams of the league out of the three teams with the highest points will compete and the winning team will move on to the final. The losing team and the 3rd team of the league will compete, with the winning team moving on to the final.